Clarksville, TN – Center fielder Nick Walker hit a pair of home runs but it wasn’t enough as Austin Peay State University’s baseball team dropped a 16-7 home-opening decision to Southern Illinois, Tuesday night at Raymond C. Hand Park. On a blustery day, Austin Peay (3-1) posted its first three home runs of the season. Walker hit solo home runs on consecutive at-bats, leading off the fourth with a homer before adding a one-out shot in the sixth. Second baseman Garrett Giovannelli also had a two-run home run in the third. Southern Illinois (1-3) hit two home runs in the contest, including left fielder Alex Lyon’s fourth-inning grand slam, to take a 5-0 lead after three innings. However, it was the Salukis patience in a pivotal seventh inning that proved decisive as they waited out six walks as part of a six-run frame that broke the game open. Austin Peay starting pitcher Tyler Thompson (0-1) suffered the loss after allowing five runs on five hits and three walks in three innings. 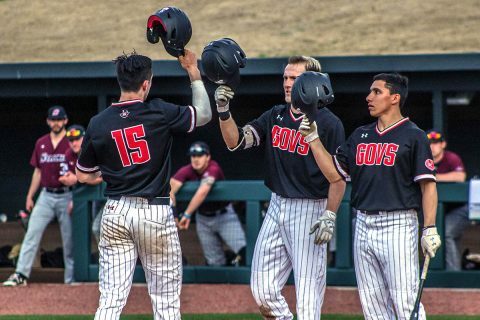 Walker, Giovannelli and shortstop Garrett Kueber each had two hits and two RBI for the Govs offense, Kueber tacking on a two-run double in the seventh inning. SIU starter Bradley Harrison (1-0) picked up the win after holding the Govs to three runs on four hits over five innings. Lyon went 4-for-4 with five RBI to pace the Southern Illinois offense, which saw the top four hitters in the lineup combine for 13 RBI. Walker, who went 2-for-4, easily could have finished the home opener 4-for-4. His solo home runs in the fourth and sixth innings were the highlight of the night. However, he nearly beat out a ground ball in the second inning and smashed a line drive in the seventh that the Saluki right fielder neatly grabbed. Walker has a hit in each of the first four games of his Govs career, a feat he is sharing with Govs rookie shortstop Garrett Kueber. After being held homerless in their first three games of 2018, Austin Peay found the friendly confines of Raymond C. Hand Park more conducive to the deep drive. 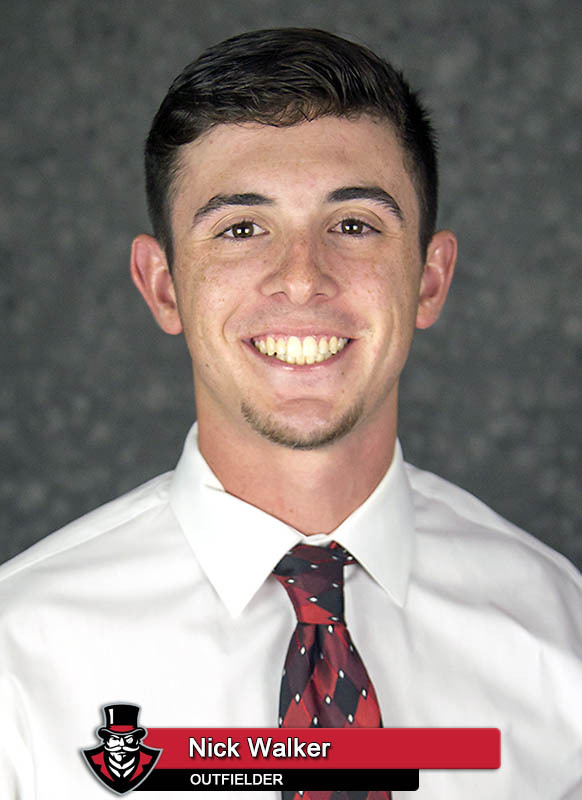 Second baseman Garrett Giovannelli hit the Govs first home run this season – his first since April 29, 2017. Center fielder Nick Walker then hit home runs in consecutive at-bats. Shortstop Garrett Kueber hammered doubles in consecutive at-bats (sixth and seventh innings), his third and fourth doubles this season. Four of his five hits this season have gone for two bases and he has four of the Govs five doubles. Austin Peay’s offense waited out five walks against Southern Illinois. 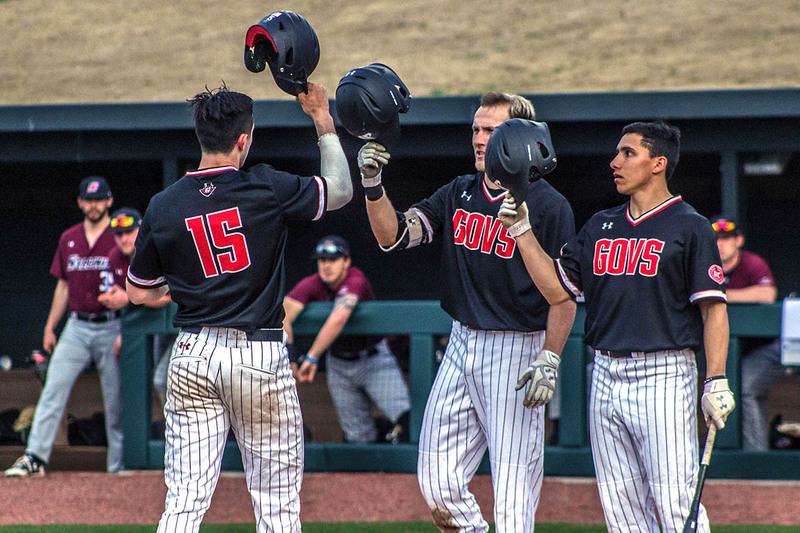 The Govs have received five or more walks in all four games this season with six different hitters ending the season’s first week with three walks or more. Left fielder Brandon Kelley leads that effort with a team-best four walks to pace his team-leading .643 on-base percentage. Austin Peay is scheduled to continue its four-game homestand when it opens a three-game series against Toledo with a 3:00pm, Friday, February 23rd contest at Raymond C. Hand Park. The opener will see senior left-hander Michael Costanzo (0-0, 0.00 ERA) take the bump for Austin Peay seeking to build on five innings without an earned run in his debut against South Dakota State. The Rockets will field left-hander Michael Jacob (0-0, 0.00 ERA) who pitched seven frames without an earned run in UT’s season-opener against Iowa.